I've withheld comment [until now] concerning the proposed CityLink Center set to be placed in the West End area of Cincinnati. Sponsored by a group called One City- a group primarily backed by the Vineyard and Crossroads Community, the two largest Protestant churches in the area- CityLink combines the services of several non-profit organizations already serving the inner-city and places them under one roof. It's supposed to provide one-stop shopping for people in need. The Center is modeled after the Path Mall in Los Angeles, although CityLink will be double the size. 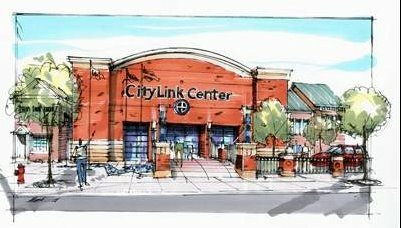 The plans for CityLink have been public for awhile now, everyone was just waiting on a location. Because of the urban renewal effort taking place within the city, wherever One City chose as a site was going to invite controversy. Once an abandoned factory in the West End was chosen, local community members began a vocal, NIMBY campaign against the center. You could see this coming: a lot of people banking on the city being revitalized have begun to invest in urban properties. The announcement of a center for the down-and-out built in their backyard put them in a bad mood. West End residents are claiming that the center will force the relocation of all the city's under-resourced to their neighborhood, which will decrease property values. To their dismay, because One City is a private company, there's nothing residents can do about it. It needs to be noted that many of the organizations already signed to relocate into CityLink are currently located in Over-The-Rhine. None of them have a history in the West End. It's naive to think that these organizations exiting OTR has nothing to do with the condo/loft construction taking place in the area. In ten years, the poor will not be able to afford to live there. Can you say gentrification? I find it interesting that no politician is willing to take up for the objecting West End residents. But I really don't want to focus on that issue here. I have a different take on CityLink altogether. CityLink is a bad idea because of the thinking behind it. As I said, the powers behind One City are two of our area's megachurches: one suburban [Vineyard] and one a hybrid urban/suburban [Crossroads]. The main reason for starting CityLink, obviously not the official One City reason but my interpretation, is that these churches want to fix the problems of the inner-city. So they got their heads together and decided the "real problem" is that people in need have to go through too many organizations to get all the necessary help. If only they could get everything in one place at one time, then they could succeed. The solution: one-stop shopping and, thus, CityLink. What we have here is a hyper-modern solution for a problem that cannot be solved this easily. Logical thinking would lead you to believe that it's all about instituting the proper structures and then you will be able to methodically solve the problem. But despite the best efforts from the best and the brightest, this has yet to work anywhere. I think the true solution is deeper than community leaders [including religious leaders] are willing to look. When we decided to relocate to urban Cincinnati and start a church, we began to strategize about how we would reach this community. The big temptation was to try to provide for physical needs. There are so many in our community who have needs, it just seemed natural to start there. But a friend informed us that there are over 900 community service organizations in Walnut Hills alone. People are already trying [massively at that] to fill these needs. So if there is more than enough resources available to take care of these problems, then why do they still exist? IT'S NOT A PHYSICAL NEEDS PROBLEM! IT'S A SPIRITUAL PROBLEM! Aaron and I know the pastor of a church not too far from where CityLink's proposed location is. We met with him a few months ago to talk about doing ministry in the city. He gave us some excellent advice, such as be prepared to go the distance because urban ministry is built on trust and trust takes time. But of all the things he said, one thing has stuck with me. In observing his mission field, he recognized all the local government and parachurch organizations working in the community and found one thing lacking. His words: "These people don't need bread; what they need is The Bread Of Life." We're doing things backward, starting from the wrong point. Somehow we started believing the following lie as if it were Scripture: "First you have to take care of their physical needs before you can take care of their spiritual needs." Nowhere does the Bible teach this, but we think it to be gospel. Because we've bought into this mentality, we've become apologetic about the way we do ministry and have overcompensated by hitting physical needs perhaps more than we should. I think that the main reason we do this is out of ignorance. We know how to give stuff away, but do we know how to tell people about Jesus. I totally understand what One City and these churches are trying to accomplish. I in no way question their motivation; they are doing this because they love people. But if they really wanted to make a difference in the city, there are better ways. Actually there is one thing that they could do that would make a huge difference in the city. Watch me work here: WE NEED TO START MORE CHURCHES. What we're missing from the city are communities living out their faith. Without churches that are actively living out Christ on a daily basis, these places will never change. It'll be group after group of "short-term missions trips" that do a lot for the volunteer but little for the people needing ministry. Until people are living out Christ in these areas EVERY DAY, loving as He loved and serving as He lived, then there is no chance for change. I'm telling you, friends, churches are the answer. These churches then become the arm of outreach in their communities, while keeping Jesus the main thing. And while I'm at it, it's my belief that the reason our city is in such dire straights is our fault, the fault of Christians, in the first place. At one point in Cincinnati history, churches abounded in our urban areas. As neighborhoods began to deteriorate, the decision was made to flee for the hills. Thriving congregations left for safer suburban areas where they could avoid the problems the city brought. Ironically, now the suburban churches feel the need to come back and clean up the mess they helped create. Painful, but true. I realize this might be harsh, but I'm calling it like I see it. And I don't want you to think that I view myself as "more spiritual" because I'm here in the city. I'm just doing ministry where God has called me; we all have different callings. If He's called you to the 'burbs or the rural areas that's cool, then do what you can where you are. But if He's really called you to the city, and you feel the need to do something, then go all the way. Move down here. Get dirty. Don't do it from afar. I care about the people of this city. I want to see them cared for. . But more than that, I want to see them embrace the lifesaving grace of Jesus Christ. It's not an either/or type thing; we need to help people holisticly. But the emphasis must remain on Jesus. More than doing good works, we're called by God to spread his message far and wide. That's our number one mission. And I can't apologize for that. A lot has been written about CityLink. Here are some articles about, for, and against it. If you want more, try a Google of CityLink Cincinnati.